Do You Know That There Is Only One Cause of Sickness & Disease? Watch this video to listen to a short story shared by a former gout sufferer who already had his Gout cured with Alkaline Diet and Wet Cupping Therapy. The human body is alkaline in its design. The entire metabolic processes work well in an alkaline environment. Chronic overacidity corrodes body tissues and if left untreated will interrupt all cellular activities and functions. And surprisingly, overacidity is also the one that is keeping you fat! 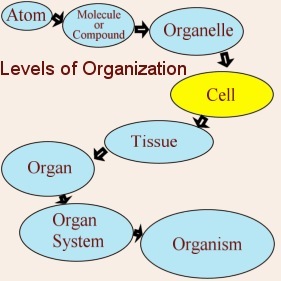 It is a set of chemical reactions that occur in living organisms in order to maintain life. The pH level of our internal fluids affects every cell in our bodies. If the internal fluids are acidic, all cells will be badly affected as they cannot work well anymore. If you want to treat a sickness or disease, you treat from the cell itself. The root cause of it starts from its cell. It is the basic unit of life. Below is a diagram to give you an idea. Now our goal is to create a proper alkaline balance in the body thus reducing the acidity of our internal fluids. The way to do is by eating proper balance of alkaline and acid foods. 80% of diet must be alkaline foods like green vegetables and 20% acidic foods such as meats and grains. This is what I always refer as (80-20). In addition, high-quality supplements will help you achieve and maintain pH balance. That’s it! That is all you need. Get at least 3 quarters of your plate covered with alkalising food and use the supplements as explained later. 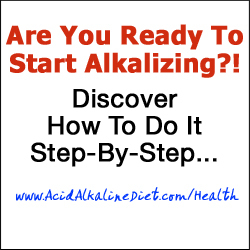 HOW TO DETERMINE IF YOUR BODY IS ACIDIC (IMBALANCE) & NEED TO CONSIDER TAKING ALKALINE FOODS? You may also refer the video on top of this page. Even though you are free from disease, your body still needs attention in order to avoid disease in the future. I came across people who get worried unnesecessrily because they thought they might get disease soon as they are getting older. Disease can as far as possible be prevented as long as we keep our body alkaline. Just observe around you. Most people with our modern lifestyle are suffering from imbalance. When imbalance occurs, we get the signs of disease such as low energy, always tired, sick, fatigue, poor digestion, excess weight or obese, foggy thinking, aches and pains and prematurely aging. These are just basic of it. There are something even more serious that you can achieve from practising Alkaline Diet! Your entire body will function more efficiently! If you haven’t been able to work for months or years, you will be returning to work. You will be well, whole and energetic again! Whatever health challenges that you have been facing will improve and most likely vanish altogether! Remember, all these are possible because your balanced diet (80-20) have given your tissues and blood live in the ideal environment for them to function very well. 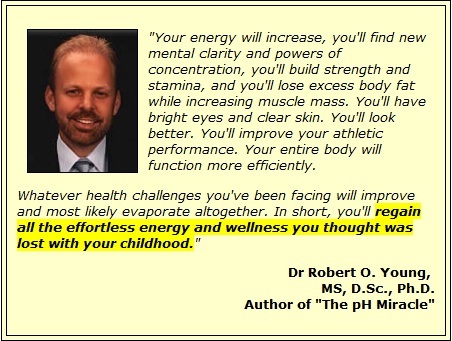 Watch this video below to listen to Dr. Robert O. Young’s opinion regarding Alkaline Diet based on his 30 over years of research in this field. Am I Saying That Other Diet Formulas Out There Are Useless? Those formulas claimed will help you lose weight and get well. Many of them have good track records and positive reputations. Often, this is because they deal partially (or unknowingly) with what you’re going to learn more from this website – balancing the pH of the body. Also, you can get a lot better. Once you experience the full, vibrant wellness that comes wih this basic change to your diet, you will know just how tremendous the difference can be. So we invite you to begin this journey and experience the results for yourself!